Does your child have trouble staying bed in the morning or sleeping in? Do you miss sleep like I do?? Well, then let me have the pleasure of introducing you to your newest best friend (and soon to be your child's too!) - Momo - the Baby Zoo Sleep Trainer! BabyZoo, a manufacturer of smart and playful sleep aids for young children recently made its national launch with the BabyZoo Sleep Trainer and the world’s first timer-based night light. Designed to help make the bed-time ritual easier and more enjoyable, BabyZoo products comfort a child and improve their rest during the night. 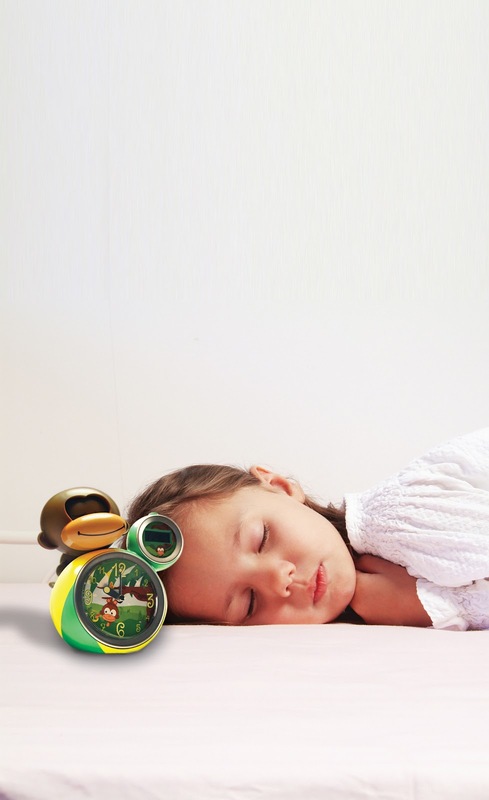 The BabyZoo Sleep Trainer is an aid for children showing them in an intuitive way when they are allowed to get out of bed or still need to stay asleep. 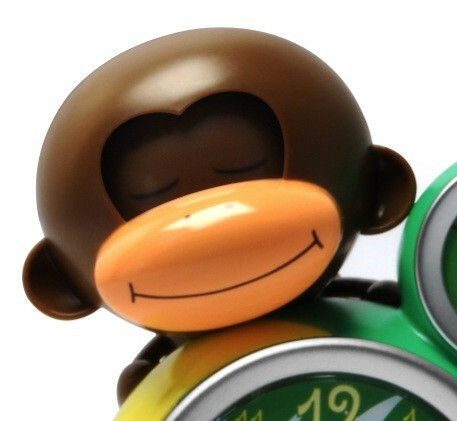 It features an adorable monkey (Momo) who tells the child by opening and closing of his eyes, when it is time to get up. Eyes closed – “You should be sleeping”, Eyes open – “Rise and shine”. 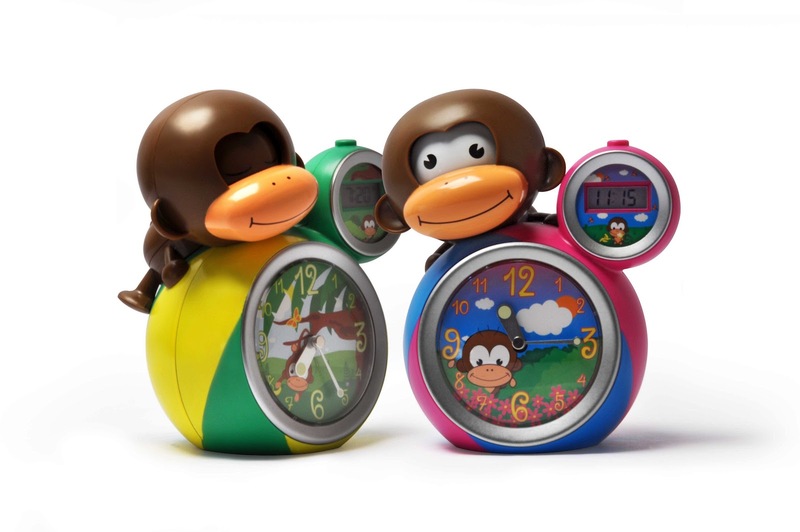 It also displays a digital as well as analogue clock to teach children how to read time both ways. Another special feature is waking up with the optional cool jungle sound, instead of the regular alarm bells. The volume of the alarm can be switched off completely accommodating younger children who do not necessarily have to get up or allowing a child a late sleep-in on the weekend. 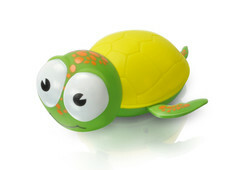 • Gus is a huggable turtle. It’s safe to take Gus to bed because a timer function automatically shuts the light off at pre-determined intervals so it does not get warm. The timer prolongs long battery life as well. Suitable for ages 10 months and older. • Coco is the World’s First Digital Music Player especially developed for Babies and Young Children and is the perfect audio player for creating a magical bedtime atmosphere. Whether you want to soothe your tiny loved one to sleep with lulling music or play bedtime stories for your toddlers, Coco can do it all. 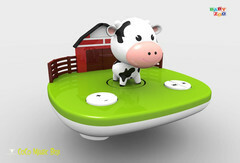 The whimsical barnyard design makes this creative audio player fun for young children of all ages and features an easy-to-use start button for repeated play as well as a timed automatic shut off component. Make sure to sign up to like BabyZoo on facebook for news of special promotions, new product introductions and more!! Sadly, I am a little bit mixed about Momo. 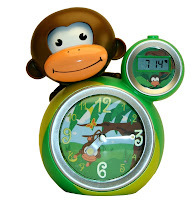 I love the general idea behind him and I love how it offers two different types of clocks for teaching your child how to read time. The night light is a nice feature for the parent but I know with my son I had the clock up high enough so he couldn't play with it. Therefore, the night light didn't do him any good. The alarm clock is easy to program and you can turn it on and shut his eyes with the push of a button. I love that the alarm is jungle noises instead of an annoying beeping. 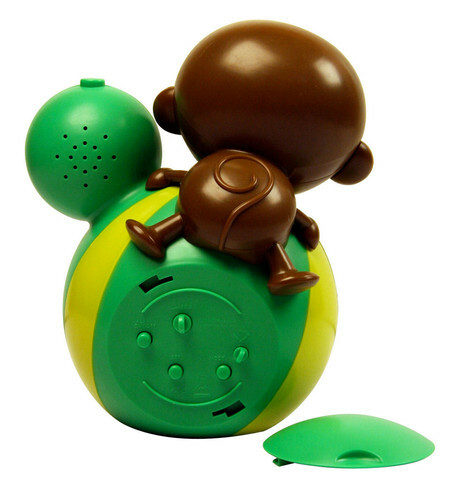 Plus, you can turn the volume up or down depending on if you really want to wake your child or not. My biggest disappointment about Momo is that there is no light behind his eyes or other way to show my son that Momo is awake or not in the morning. My sons's room is very dark so he can't see Momo unless he gets up, turns the light on, and looks at him. By then, my son is already wide awake and there is no getting him back in bed whether Momo is awake or not! I must admit my son LOVES Momo and makes sure we close his eyes every night and checks on him every morning (and Momo IS NEVER awake, I might add!). However, it is NOT working to keep him bed longer because he cannot see if Momo is awake or not unless he hears the alarm go off (which would wake him up). Hopefully in the future, Momo might get some kind of light behind his eyes or some addition that would make it easier for children to see if Momo is awake or not in the morning in a dark room. Overall, I love the concept and it would be great for a child that has a brighter room and can see Momo's eyes in the morning. Momo looks cute but a little scary with no light in his eyes..